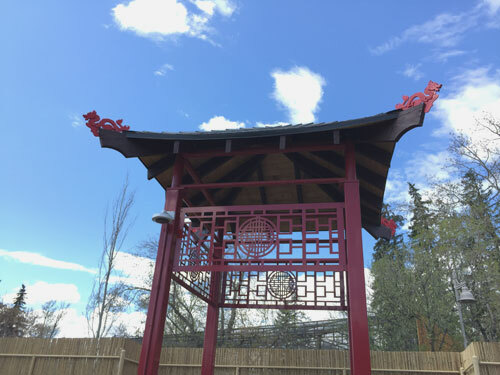 It’s been a long time since the first time I went to the Calgary Zoo after the flood. Some of the areas are closed for renovation at that time. 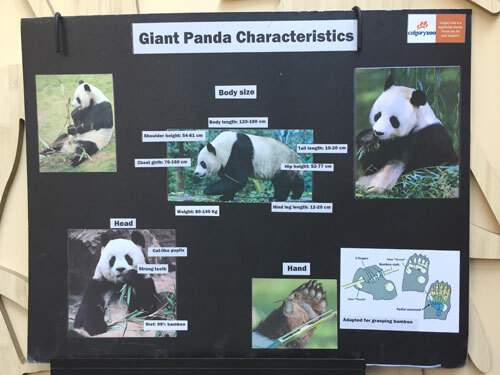 On May 7, 2018 the pandas at Calgary Zoo were first seen by the public in the Panda Passage. Mom and dad will stay for five years (till 2023) while the young ones will leave for China after two years. Though I have a lot of time to see them, this is not one of the trips that I can procrastinate. Nope. So come along now and let me show you what I discovered for a day. You can buy the tickets online or at the zoo. The best time to go is on the weekdays to avoid long lines and huge crowd. Let’s just say I was willing to splurge to buy a ticket yet I wish to have known the tips by Calgary Zoo on how to get a coupon code. With a fair weather and no long lines, I knew then that the ticket was worthwhile as proven by the photos. If you want to see the pandas right away, you can find them at Eurasia. Don’t forget to grab the handy dandy map at the entrance. Da Mao was the first panda that I saw. 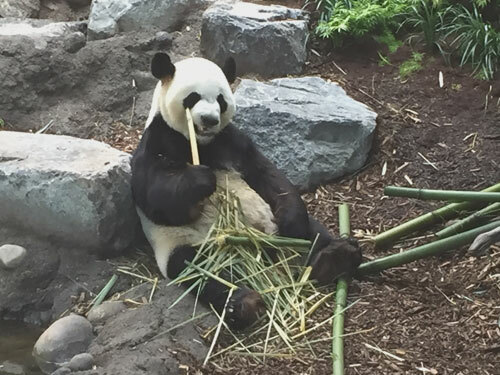 He was comfortably sitting and having his bamboo lunch. Here is a closer look. At least there wouldn’t be a need for toothpicks. 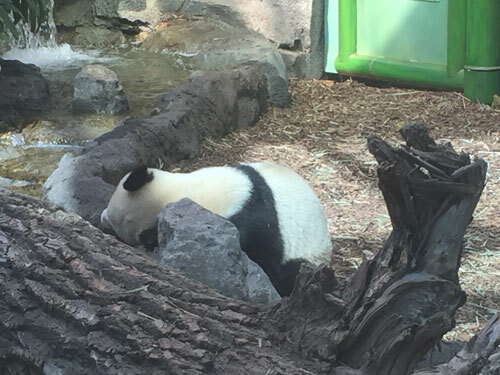 Meanwhile this panda here needs more nap than snack. Awake or not, they are all so cute. I saw only two pandas and wasn’t sure where are the other two. Their no-show didn’t disappoint me the moment my friends and I saw an opportunity to have a photograph with a panda mascot. Want to Take a Panda with You? Not the real panda though. 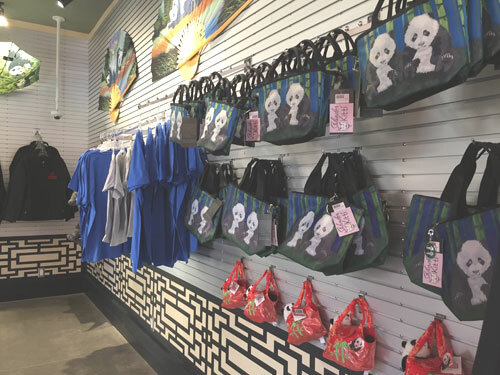 You can buy panda souvenirs at a nearby store from the Panda Passage. The stuffed toys have different sizes. I found the panda with a hoodie more adorable than the rest. Others might like a bigger panda or smaller. If you want something useful, you can buy an umbrella, T-shirt, pen, bookmark, USB, and more. The photographs and the experience are enough souvenirs for me. What about you what will you choose? 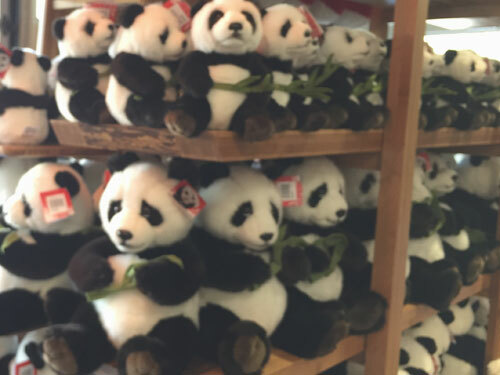 If you change your mind and suddenly want a panda to take home but you’re far away the souvenir shop, you can stop by at the store near the entrance/exit. It is closed by the penguin which you might miss on the way in or out but definitely not the store. I was able to go to all the areas but the highlight of the day is seeing the pandas at Calgary Zoo. 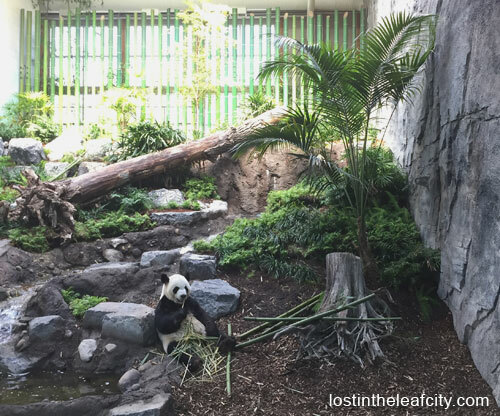 If you haven’t been to the zoo, summer is the best time to go and the pandas are the best valid alibi. Before you go, I’ll share the cutest video about pandas (not in Calgary Zoo) that I’ve found. Great post! Can you tell me what time of day you saw the pandas? I hear they are only awake around feeding times.